They say women don't tell their age, but I love shouting it out to the world. I'm currently 41 years "young" and I've decided to take charge of my life. Learn how I'm living boldly and how you can too! I want to thank StarKist for sponsoring this chat. I remember before my 40th birthday, I started thinking to myself. I'm hitting middle age and what would life be then? My youngest was 4 years old and while I didn't envision having a child that young at age 40, I realized that my life wasn't really over. I was just beginning to live. Being former military, I was accustomed to structure. We did everything according to the letter and always on time. I'm also a stickler for being on time, and being on time meant that you need to be at least 15 minutes early. It's my biggest pet peeve, having to wait on anyone. Now that I'm retired, I'm finally learning to relax, just live and go with the moment, but I'm still never late. 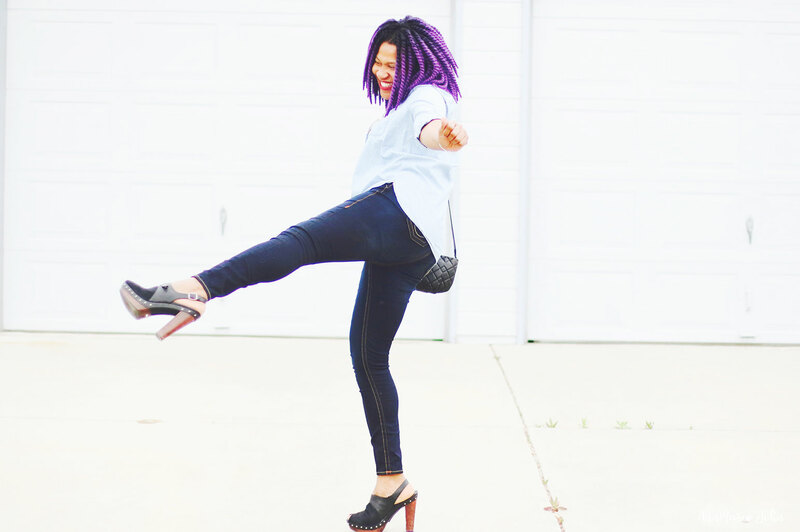 So how am I living boldly now that I've hit my stride, and how can you live boldly as well? Here are 5 simple ways! Sometimes you have to forego schedules and planners. I'll be the first to admit that I no longer own a planner. I just go with the flow and if I decide I want to do something, I just do it! Being spontaneous has allowed me to try skydiving (although inside), but it's something I would never have thought of doing. I've experimented with hair colors, from natural black, to blonde, purple and my current pink. I've even done a boudoir photo shoot, and I loved it! And that leads to me to my next tip. Aren't you tired of doing the same old things over and over again? You go to the same restaurant and maybe even watch the same TV shows. How about trying something new for a change? This past summer we went to Florida on vacation and I did quite a few new things. We ate at a different themed restaurant every night and I even ate Alligator (and yes, it tasted like chicken). Get out of your little box and try something new. Speaking of new - Starkist has introduced a new selection of new Tuna BOLD creations available in 6 BOLD varieties, including StarKist Tuna Creations BOLD Thai Chili Style, Tuna Creations BOLD Jalapeño, Tuna Creations BOLD Hot Buffalo Style, Tuna Creations BOLD Tapatío, Tuna Creations BOLD Sriracha and Tuna Creations BOLD with Rice & Beans in Hot Sauce. You just have to try them and I'll tell you more about them later. I told you I was living boldly! OK, I don't mean start spending all your money because there's not going to be a tomorrow, but how about doing some of those things that are on your bucket list? You know that saying YOLO (You Only Live Once), it simply means that you should enjoy your life while you still have a life. I have always loved traveling, and while there isn't always money to travel to the places I want to visit, there are places within my own state that I can see. How many of you have visited every town in your home state? There is so much to see and do there. Get out and do it. Now you're not going to want to do things if you don't believe in yourself. I had to learn that I can do the things that I wanted to do without anyone's approval. I had to believe in myself! If that is something that you struggle with, maybe opening up to someone may help. I had to speak to a therapist before I was able to do so, but you can do it. I've always been a fan of this slogan. Sometime's you just have to do it! Stop putting yourself down, believe it or not, there are people looking up to you. Whether it's your kids or family members, don't listen to the naysayers, just go out there and do it! When I first started this blog, there wasn't a lot of belief that I was going to continue with it. I was known for starting and not finishing a project, but I did it. Sometimes you just have to do it! 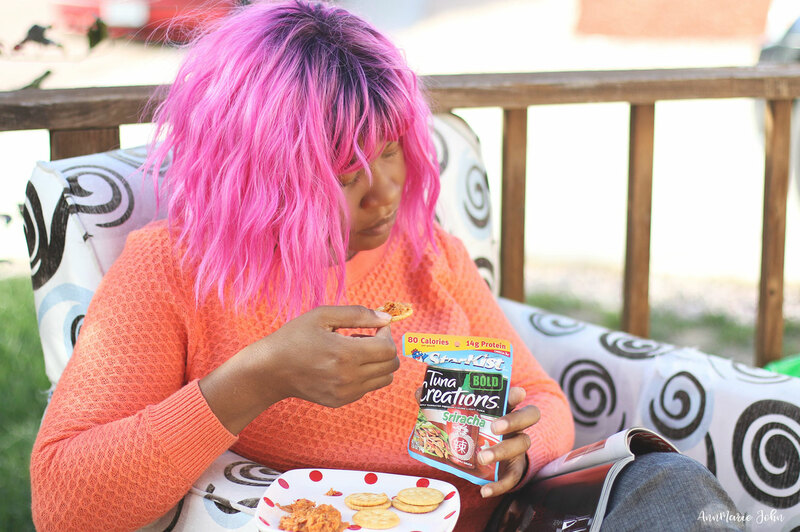 I promised that I'd tell you more about StarKist Tuna Creations BOLD. My favorite of all the flavors would have to be the Tuna Creations BOLD Siracha. I love spices. Growing up in the Caribbean where the flavor of the day is hot and hotter, I love anything with a bit of spice. This hot sauce flavor is made from red chili peppers, garlic and vinegar. With a garlicky spicy kick, this tuna is the perfect addition to a ramen noodle salad or tuna burger. 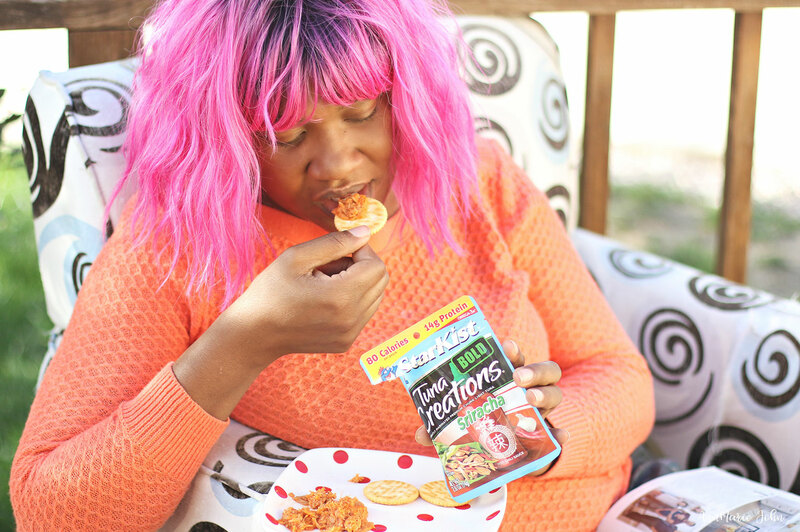 Enjoy on rice cakes, crackers or right from the pouch, which is how I love eating it. 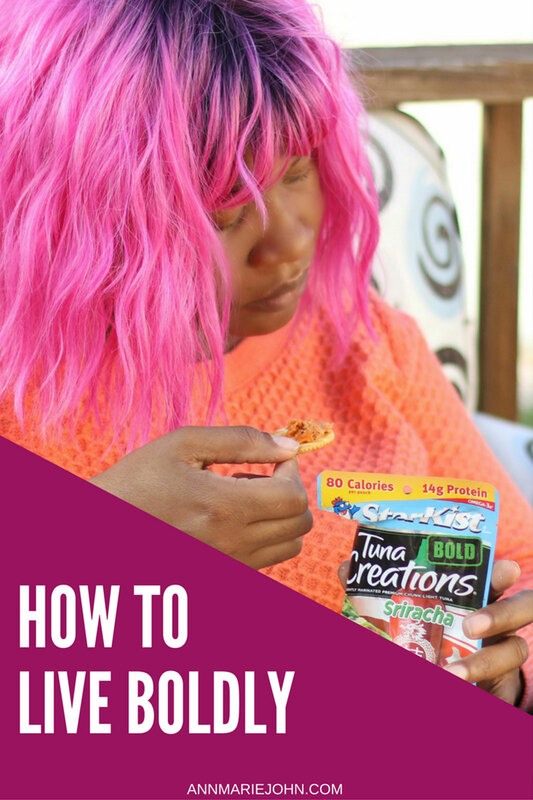 The pouches are single-serve and require no can opener and no draining, making it easy to add a BOLD protein to your favorite salads, meals and snacks…or you can just grab a fork and eat straight from the pouch wherever you are—just Tear. Eat. And Go! StarKist Tuna Creations BOLD offer delicious & nutritious meal solutions to fit your busy lifestyle and add an extra kick of flavor —each is a good source of lean protein and 110 calories or less to keep you fueled. I try to be spontaneous, but I am a planner and it's hard for me sometimes. I try to be as bold as I can, though. These new bold pouches are awesome. I just picked up a few the other day, and they're so good. I would have never thought to use flavors like the ones Star Kist came up with. I would love to live boldly! There's nothing like enjoying life while you follow your dreams, it's what living is all about after all. 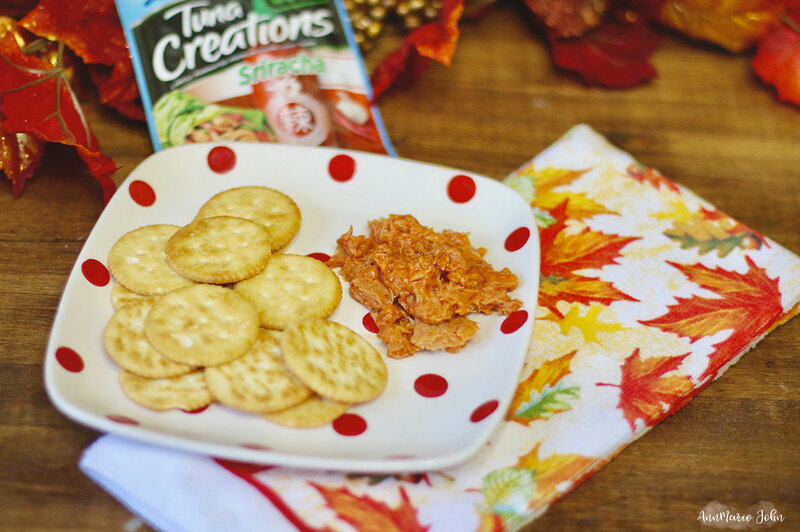 I am loving your tips here and I think I need to check out that Tuna Creations, the flavors sound SO good. I love your bold tips! I also love the new flavors of the tuna pouches! I have been buying the Ranch one since it first came out, and I'd love to try these new ones. These are definitely some great tips to live boldly! We love Starkist, but I haven't tried these new packets. I'm gonna check them out for sure. Loving these tips! I haven't seen packs like this of tuna before but seems so practical for taking on the go for easy snacking or lunch! I LOVE this. We need to be proud and live boldly. There is no same in aging, it is a beautiful thing! And side note, that Tuna looks delicious. I love that sentiment. Just starting to live. I think it takes so long for many of us to get comfortable in our skin and find out what we really want. Of course it's subject to change, but maybe life really does start at 40! Also, these are brilliant. I always need a bold snack filled with protein. I love the idea of and advice of living boldly. Could you imagine what life would be like if everyone did it? I will have to try the new bold tuna pouches, they sound yummy. I am not much of a planner, but my husband wants to plan everything. Breaking away from the schedule now and then does feel nice! I like the idea of being more spontaneous. I have been trying to travel more and check things off my bucket list. I want to live life while I can! The older I get, the more fun things I want to try. My daughter and I want to take a dance class together. It should be fun! Life is all about living boldly! We won't make it anywhere if we're too scared. I think that snack is something that I'd enjoy. Tuna and sriracha? YES PLEASE! And there are other flavors to try as well. Amen to all of these. Just because you are in your 40s doesn't mean life ends. In fact, it's just getting started to trying new things and just going for it are a must. The older I get the more I realize that I need to truly seize my life and do the things I want to do before it is too late. Good for you! I will have to grab some starkist! I didn't know they had so many great flavors. This is great, it's so true. You just gotta do you! Love this post! That has always been my go to meal if I am in a hurry. Tuna salad has never let me down. Keep it up girl! You are an excellent role model to everyone around you. This is awesome! As we get older we realize that there are so much more life can give us! Thanks for sharing your tips! We love the Starkist pouches! They are so easy to take on the go and the make the best beach day snack. I hadn't seen the pouches and now I am going to have to go out and get some. Live boldly, my friend!